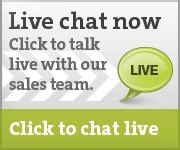 "Found exactly what I was looking for quickly and at a competitive price. It can be difficult finding things when looking outside the usual retail area, but the help desk made this easy. Delivery was next day, product was excellent standard." Colour coded to help you grab the right product in an emergency, our Absorbent Pillows have a near insatiable thirst for spills of chemicals, oil or water. And they’re so good at their spill control role that some of these products can catch and contain up to 90 litres of whatever’s been spilled, including aggressive chemicals. Get the most effective spill control solution by teaming them with our other absorbent products such as spill pads, spill socks and spill rolls. Click to view our full range of Absorbents. 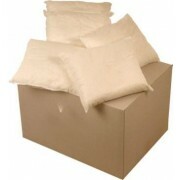 Large maintenance absorbent cushions in dispenser boxes of 10. Ideal for larger spills when used in conjunction with absorbent socks and pads. For use on drips and spillages under leaking machinery. 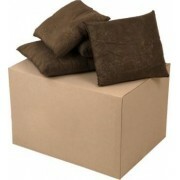 Each box of cushions can absorb up to 58.5 litres of fluid. Large oil only absorbent cushions supplied in boxes of 10. Used to absorb oil and repel water. To be used with absorbent pads and absorbent socks for larger spills or to control drips and spills from leaking machinery. Each pack of absorbent cushions will soak up 62 litres of fluid. Dispensing boxes of 10 large chemical absorbing cushions. Will absorb acids, caustics and other corrosive materials. Ideal for use with drip trays around drums and IBCs. Each pack of chemical absorbent cushions will soak up 68 litres of chemicals. Dispensing boxes of 25 small chemical absorbing cushions. Each pack of chemical absorbent cushions will soak up 46 litres of chemicals. Small oil only absorbent cushions supplied in boxes of 25. Each pack of absorbent cushions will soak up 57 litres of fluid. Medium sized maintenance absorbent cushions in dispenser boxes of 20. 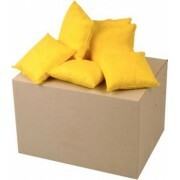 Each box of cushions can absorb up to 80 litres of fluid. 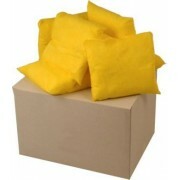 Small maintenance absorbent cushions in dispenser boxes of 25. 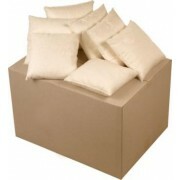 Each box of cushions can absorb up to 47 litres of fluid. Medium oil only absorbent cushions supplied in boxes of 20. Each pack of absorbent cushions will soak up 80 litres of fluid. Dispensing boxes of 20 medium chemical absorbing cushions. Each pack of chemical absorbent cushions will soak up 90 litres of chemicals.